When the Vita arrives in late February, $50 million of Sony's marketing budget will come with it. You can buy a lot of things for $50 million. That amount of money will pay for a modest fighter plane, a luxuriant city skyscraper, or, if you're feeling pedestrian, perhaps just 50 million fast food hamburgers (well, more like 45 million after tax, but who's counting?). To a multibillion dollar company like Sony, $50 million may be an affordable expenditure, but it's still more than enough to make a powerful statement; in this case, "We want the Vita to sell." Sony's powerful handheld has seen lackluster sales in Japan since its Asian launch, and the American arm of the company does not want the past to repeat itself. Armed with a gob-smacking amount of money, influential advertising company Deutsch Inc., and a marketing plan revolving around 20-something men with disposable income, Sony has staked a lot on the Vita's successful American launch - perhaps even its continued presence in the handheld market. Sony's target market for the Vita, 20- to 30-year-old men who already own a PS3, may sound narrow. However, Deutsch believes that this demographic is substantial enough to make back Sony's marketing budget, and then some. "[Gamers are] very socially plugged in, mobile, out and about, both physically and on the Internet," said John Elm, a vice president at Deutsch. 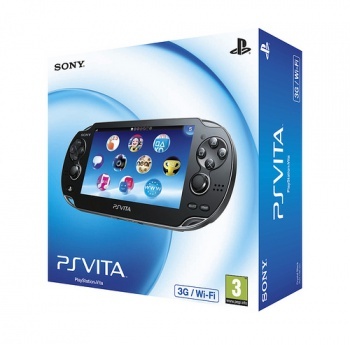 He believes that both the Vita and its advertising campaign will suit their needs. In addition to traditional marketing (such as commercials during Millennial favorites The Simpsons, South Park, and Tosh.0), Deutsch pioneered the #gamechanger hashtag for Twitter, which will allow Sony and its consumers to interact in an open forum and build buzz for the device both before and after its launch. While some analysts believe that the market for dedicated handheld videogame systems is stable ("The portable hardware market is holding its own" said David Riley, an NPD analyst), the numbers suggest it may be in decline. From revenue of $18.1 billion in 2008, the handheld market slipped to $10.7 billion in 2010 - a decrease of roughly 40%. The rise of the smartphone has been instrumental in the relative weakening of the dedicated portable system. After all, an average consumer is more likely to buy a smartphone and pay 99 cents - or nothing at all - for a game app than drop $250 (or more) plus $40-50 per game for a system that can't make phone calls or send texts. The Vita is one of the most powerful handheld systems to ever appear on the market, but experts are unsure whether this can save the system in an age of cheap, accessible smartphone games. "It's an amazing device," said prolific industry analyst Michael Patcher. "Would you rather have a 10-hour immersive experience for 40 bucks, as opposed to 400 10-minute experiences for free?" Perhaps the better question is, "How many smartphone games could $50 million fund, and what would the return on them be?"